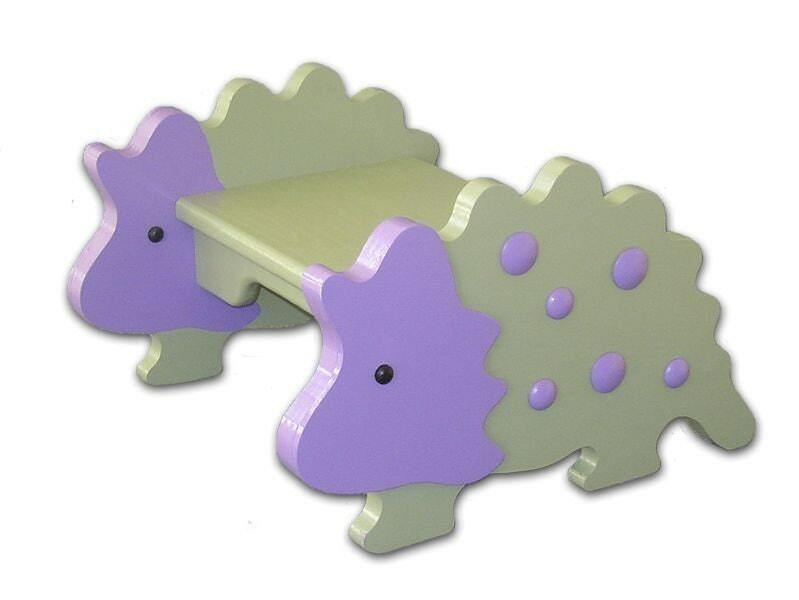 What toddler wouldn't go crazy about his or her own dinosaur step stool! The softly rounded "spikes" on his head and back give a hint of the fearsome Triceratops dinosaur, but that face is just too cute to resist. Dimensional bumps on the body add to the scaly look of this step stool.